Do you like to Bible Journal like I do? If so, you have to check out the new line of Illustrated Faith (aff link) journaling Bible accessories at DaySpring perfect for journaling in your bible. 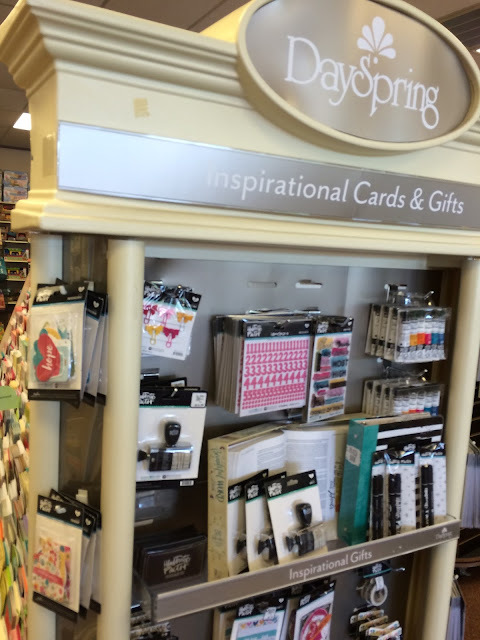 I visited my local store to look for some items to put into a Happy Mail package for my "heart sister." I had not been into the store in a few months, and was surprised to see they had remodeled! All of the displays were nicely styled and organized and a sales associate greeted me upon my arrival. 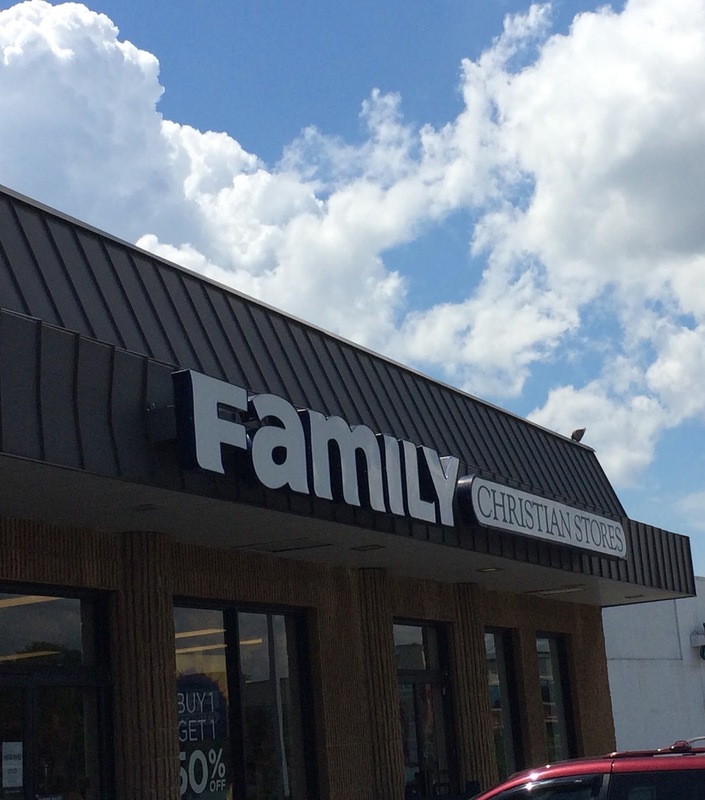 Shopping at Family Christian is always a good experience because the staff are friendly and able to answer any questions I have. I always start in the clearance area, because I am cheap and they usually have a great selection to choose from. 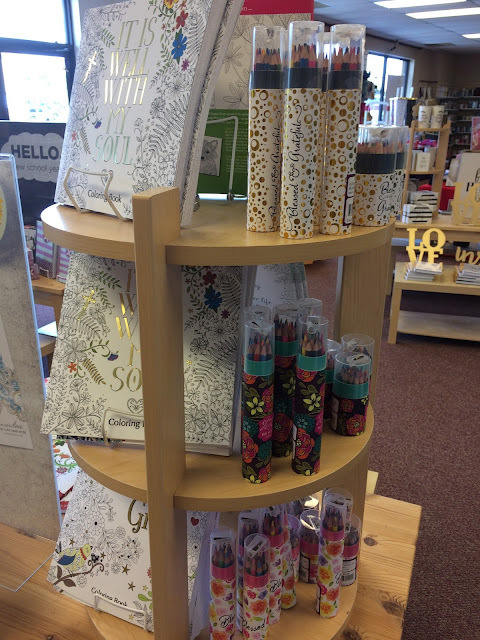 After picking up a floral zippered pouch and magnetic bookmark, I wandered around and found the new Illustrated Faith (aff link) display! I was so excited because I follow them on social media and love their products. I wanted to buy one of everything, but settled for a few items to start out. Check out the selection of Journaling Bibles at Dayspring. Music: H A R D L O V E by NEEDTOBREATHE - This band is amazing! DVD: Miracles from Heaven - I saw this movie in the theater with friends; it is an uplifting story, but have your tissues handy. Kids’ Items: VeggieTales - I work with the younger kids at church and this series is a favorite! 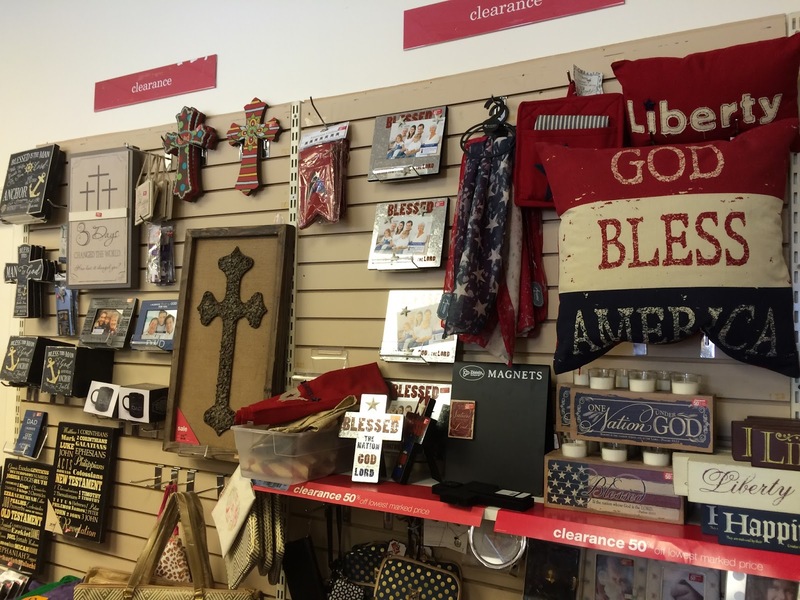 I am excited to give away a $25 Gift Certificate to Family Christian! Use the Rafflecopter below to enter. all of these accessories are adorable! thank you for sharing them. i have just recently started a modified bullet journal, and i add notes and journaling from church in it. I would definitely buy an illustrated faith pen. I have wanted one for so long. Elizabeth, I used mine for the first time and I love it! It does not bleed through like the others ones I have. I love my local store and the people who work there are great! I love all the Illustrated Faith items they have! And I bought 2 bibles there this year plus won one there! Chris, I love my store too! Good luck to you! I will buy more of Illustrated Faith's products if I win! Chris, Yes, I want more too! 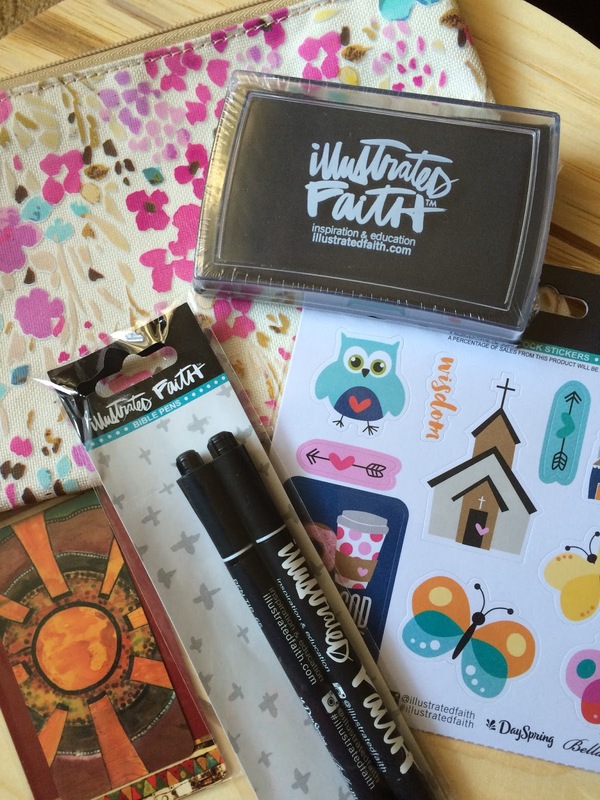 I would get some stickers by Illustrated Faith and a Journaling Bible for my daughter! Thanks so much for the giveaway! Dani, They have the cutest stickers! You are a blessing Denyse! Good Luck! Thank you so much Linda for visiting and for the kind words! Definitely Bible Journaling Illustrated Faith items! Melanie, I did not even know they carried them. I am already planning what to buy next! A fellow bible journaler directed our group to your page. Such an inspiration. I'm a novice at journaling and haven't journaled in my bible yet.I would love to purchase an actual bible journal. It's awesome to connect with so many people who love God! Thanks! Good luck Jen! If you do not win, the Bibles are on sale right now, so you should check it out! I would definitely buy a journaling Bible, stamp pad and pens! They all look so fun! They have some great choices! There are so many great items! There are so many great items! I love the Cupcakes Shine Bright socks. Yes, I agree! Thanks for entering! I would love Joel Osteen's The Power of I Am! I love Joel Osteen too! That is a great choice! Good luck! I would get the Floral Life Planner. I love planners too, Crystal! That is a beautiful choice! Good Luck! I think I'd get some Bible journaling supplies! Becca, they have some great options! Good luck! Those coloring books look so familiar, I think I have one by that same artist/company. I would probably get some more to add to my collection! I almost picked some of those up too! Good luck! Oh I want to see that movie; I loved the first one! I love the God's not Dead movie! oh, yes, I love my cover! Good luck! I love Family Christian! New books by Dee Henderson or Terri Blackstock would top my shopping list if I won. I have not heard of those authors; I will have to check them out! Oh I will have to check that out! It sounds like something I need to read! Well I was going to say that I was going to buy a new devotional but I saw the previous comment about a new Dee Henderson book so I might have to actually buy that instead (or too)! There are plenty of choices! I'd buy the book "Through the Year with Pope Francis: Daily Reflections"
I would probably get my kids a Superbook DVD, or veggie tales. I know your kids would love it! Good Luck! I would buy adventures in odyssey dvds. That sounds like a great pick! I wish I had a Family Christian close by! One of my students recently gave me a journalling Bible that also has coloring designs in the side- I LOVE it. And love NEEDTOBREATHE too! You will have to make a trip to Winston, Emily! I have only seen those bibles online, but that would be great for someone like me, who is not the best artist! I'd buy some of their jewelry, like a necklace. They do have nice jewelry. I would by some illustrated faith products for sure!! I really love the Live Original Planner! Oh I love a good planner too! I really like the pillow that states "God Bless America" in Red,White & Blue. I would buy a Willow figure. I love those! My friend collects them. My son would have loved that when he was little. I would buy some good cds, thank you for the chance its truly a blessing! There are so many great artists to choose from! I would buy some interesting books to read! I would like a coloring book. I'd love the Shield Of Faith Necklace! The Journaling Bible sounds like a great study resource! I would use for a new Bible. I need a new one. I would buy God's Not Dead 2 on DVD!